Kerzner International Holdings Limited (“Kerzner”), has entered into a partnership agreementwith Dolphin Capital Partners and Dolphin Capital Investors,for the development of One&Only Kéa Island resort in Greece, inclusive of long-term management. 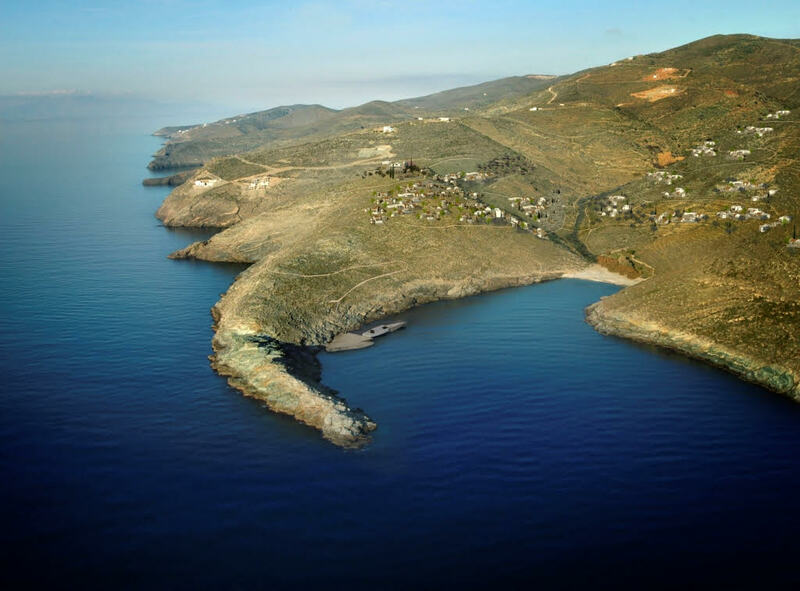 Situated in a 65-hectare beachfront site on the west side of Kea island of the Cyclades, this ultimate ultra-luxury lifestyle experience will include 75 resort villas, as well as One&Only Private Homesavailable for purchase. This will be the second One&Only resort in Europe as part of the expanding One&Only portfolio, with the announcement of the evolution of the brand earlier this year to include One&Only Nature Resorts, One&Only Urban Resorts and One&Only Private Homes to the existing collection of award-winning Beach Resorts. Kerzner International, the leading international developer and operator of ultra-luxury resorts and residences, has plans to continue to grow and develop the One&Only brand globally. One&Only was created exclusively for the ultra-luxury market and conceived as a hallmark of excellence. With the evolution of the One&Only portfolio, these new experiences will complement the existing award-winning resort collection, set in some of the most beautiful locations in the world.A vivid and inspiriting celebration of life—glamourous in style but wonderfully unstuffy by nature—One&Only offers guests a distinctive style and personality borne of its local culture, a genuine hospitality and a lively energy that is unparalleled. “We are thrilled to be partnering with Kerzner, a global leader in luxury resorts, to develop One&OnlyKéa Island, which is expected to set a new standard of ultra-luxury resorts in the Cyclades”, commented Miltos Kambourides, Founder and Managing Partner of Dolphin Capital Partners.“Our goal is to create another world class asset, which together with Amanzoe, will rank as two of the top resorts in the Mediterranean and elevate further the image of the Greek hospitality market”. Kea is the closest Cycladic island to Athens and is accessible by ferry or speed boatfrom Lavrio Harbour. A post-modern Greek island, the One&Only resort on Kea will be inspired by the azure ocean waters, providing contemporary Greek elegance, celebrating the incredible natural elements of Greece and the Cyclades. One&Only Kéa Island will honour the country’s rich culture and traditions. Like all properties within the One&Only collection, One&Only Kéa Islandwill place an emphasis on privacy, providing the ultimate hideaway, with a variety of accommodation, as well as secluded residential villas that are perfect for couples orlarge families. The stylish resort will also be home to an indulgent destination spa,introducing traditional and holistic practices fused with modern spa therapies, with overall wellness at its core. A cutting-edge fitness centre –featuring both indoor and outdoor spaces will also be part of the overall lifestyle offering at One&Only Kéa Island. The resort will become a culinary destination for the intimate island, offering 3 restaurants and two bars, each defined by their own distinct ethos, energy, design and flavour andwill bring the story of Kea to life through all senses, showcasing the bounty of the region. This will include a Greek piazza experience, offering fresh cuisine from morning to night, as well as the ultimate restaurant for the catch of the day, expertly grilled over open flames. One&Only Beach Resorts also offer an iconic international beach club, the vibrant location where guests and residents alike will want to lingerat the water’s edgefor hours. Arrivals via private luxury yacht or through the exclusive resort helicopter, the ultimate haven to lounge, socialize or play under the Greek sun. In addition, One&Only Kéa Island will be home to a cantilevered lounge built into the cliffside, offering the perfect place to watch approaching mega-yachts as the sun dips below the horizon. New curated experiences will be offered to discover the best of both land and sea- full of adventure.As with all One&Only properties, the resort will offer innovative programming for families with children whilst carefully preserving space for adults only as well. From awe-inspiring natural landscapes to state-of-the-art facilities for sports, wellness, diving, art, cooking and more, One&OnlyKéa Islandwill be a stimulating oasis for active, mindful and creative pursuits, regardless of age or passion. Outdoor spaces will also be available that can be transformed into incredible locations for private events, offering spectacular views.